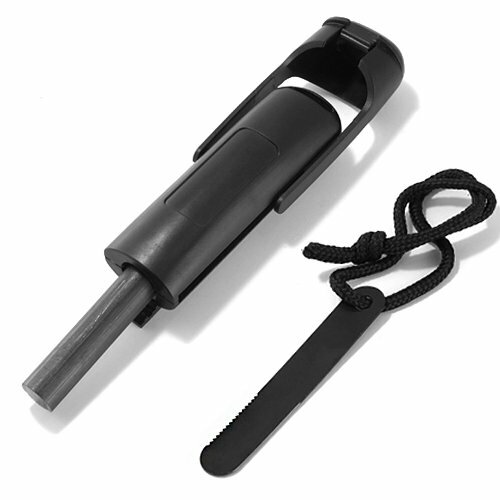 Brand new One-handed Magnesium rod bar striker flint fire starter. Perfect survival tool for military, hunting, fishing, camping, hiking, trekking, climbing outdoor activities. Weatherproof and fireproof. Perform well in moist weather or low temperature. High quality Black ABS plastic housing & magnesiun rod. All weather and functional; Compact size and lightweight. Comes with a heavy duty black steel scraper (striker). Not a toy, keep it away from children !